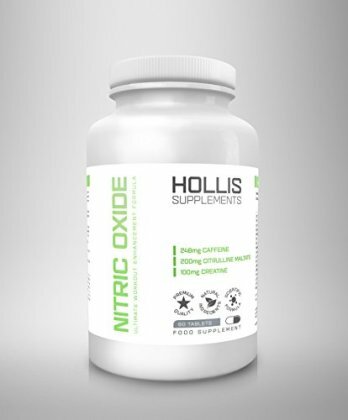 Nitric Oxide is one of the most effective performance boosting supplements. It relaxes smooth muscles, increasing oxygen and blood flow whilst increasing nutrient delivery to muscle cells. During physical activity, muscles become oxygen-deplete. The body begins to produce lactic acid, leading to muscle fatigue. Nitric Oxide reduces the amount of lactic acid production. Extending the amount of time until exhaustion. It is also known to speed up the removal of exercise-generated ammonia and increase glucose uptake by cells.